Happy New Year from Journey to Joy Counseling! Are you one of those people that sets goals for the New Year? I’m not talking about just making New Year’s resolutions, but setting actual goals. A resolution is only a desire to do or not do something. Resolutions, while good in theory, don’t usually (statistically) work out. According to Forbes, around 8% of New Year’s resolutions are actually achieved. That means 92% fail! Setting goals can help you hone in on a specific achievement. Goals represent ambition, and they are dreams. They create direction and guide us to the desired outcome. Goals often bring along permanent changes. 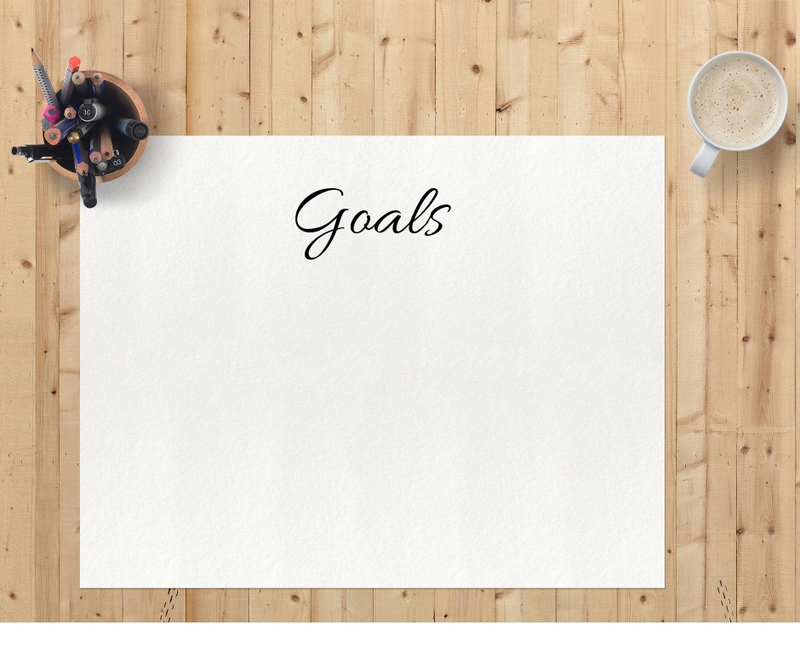 Goals are often more likely to be achieved than just resolutions. This New Year, I want you to think about creating some goals for yourself. What are some actual, attainable things you can do to better yourself? What do you want to accomplish this year? What is important to you, both personally and professionally? In what areas do you want to grow? Should starting therapy be one of those goals? If you’ve considered starting therapy before, but not followed through, this blog is for you! Today I hope to talk about the reasons why I think you should therapy this year. And if you’ve not considered therapy before, I hope you might after today. I think there is a huge misconception that you have to hit some sort of rock bottom in order to come to therapy. This is definitely not the case! Although therapy can help you if you are in a difficult place, it doesn’t always have to come to that. Sometimes therapy can be used proactively to keep you from reaching that rock bottom. Therapy can help you no matter what stage you are in. It can help when you feel like you’re doing okay but could use some support and encouragement. It also can be helpful when you are in some the darkest, most difficult days of your life. It’s intended to be a safe, non-threatening place where you can relax, breathe, and let go. One small word of advice I’d love to give you: don’t wait until things are absolutely falling apart before you start therapy. Get some bumpers in place, and learn some healthier ways to cope before you get to a place where there could be permanent and negative repercussions (for example, waiting too long to start marriage counseling—don’t wait until one or both of you are done). Speaking of goals, did you know that therapy is a great place to help you achieve them? It’s very common for clients to use therapy as a safe space for accountability. This could be as simple as accountability with carving out self-care. Sometimes this can also mean providing support and accountability with establishing and sticking with boundaries. Or, it could even mean accountability with decreasing drug or alcohol consumption (or insert any other substance or behavior that can be addictive or harmful). When you set goals in therapy, it’s your therapist’s job to help encourage you to accomplish them. Obviously, I/we can’t do the work for you! But it’s normal for me to have conversations with clients on a daily basis about their progress towards their goals. It’s almost my role to provide feedback and guidance as appropriate. Sometimes my job is to convince and teach my clients that they are worthy of accomplishing their goals. When shame, doubt, and negative self-esteem gets in the way, it’s hard for anyone to believe they are worth the time and investment. If you notice that the negative committee in your head gets in the way of you accomplishing things in your life, it may be time to consider starting therapy! It’s very common for clients to come to a first session, look at me and say “I don’t really know why I’m here”. To be honest, that is actually okay. Part of my job as a therapist is to help my clients figure out how they are feeling, what they need, and how to make the necessary changes. For me, therapy is very much like a jigsaw puzzle. I get all these small pieces of information that I slowly plug in until the big picture of what is really going on becomes clear. Sometimes my clients don’t know what they’re feeling. Maybe they were never taught to be aware of their emotions. Maybe in their family of origin, feelings were not something that were ever discussed. It may sound simple, but sometimes a big part of therapy is teaching my clients how to feel. Or to put names to their feelings. When they can do that, they are able to better communicate what they need from others. It’s also common for clients to not always know what they need. Sometimes therapy is helping my clients identify their needs, and learn to verbalize them to those around them. Oftentimes this means setting boundaries for themselves. Maybe it’s putting into place some better self-care, or learning to say no. Regardless of what brings you to therapy (even when you may not know), it’s the therapist’s job to help guide you where you need to go. If you’re reading this today, and realize that therapy needs to be a goal for you in the New Year, please reach out! It’s never too late to begin a new journey, and to better yourself. You are worth the time, the energy, and the investment! I hope and pray that this New Year brings you hope, healing, and lots of JOY!